Did an Accident Exacerbate or Aggravate your Pre-Existing Medical Condition? This jury instruction is something that the insurance companies often do not tell the injured claimant about. This instruction is favorable to claimants and keeps the insurance company or their attorney from trying to claim that the existence of a pre-existing condition means that the claimant cannot recover anything. For example, suppose you were involved in an automobile accident and had muscular injuries to your low back (usually diagnosed as a “lumbar sprain”). X-rays and MRIs may reveal that you had a hidden degenerative condition that existed before the accident. You may have been completely unaware of this condition because it did not cause you any pain or other symptoms. In fact, it may never cause you any symptoms or problems. Such degenerative changes can, however, make your spine less resilient and less able to withstand traumatic injury, such as in a collision, and therefore these degenerative changes may cause you to suffer more injury, for your injury to be longer lasting, or for your injury to be less likely to heal at all. Sometimes you may have some minor or occasional neck or back soreness that only flares up when you are very active, for instance doing a lot of bending or heavy lifting that you are not accustomed to do. This may just be a nuisance or something that makes you careful in your activities. If you are injured in an accident and make a claim, the insurance companies always make a big deal out of your prior medical history and any pre-existing medical conditions. If they can get you to give a recorded statement, the insurance companies always, always, ask about your prior medical history and any prior injuries or health problems. Since neck and back injuries are the most common injuries from motor vehicle collisions, they will certainly ask you about any neck or back pain you ever had before the accident, and if you have ever been told that you have any arthritis, degenerative changes or diseases. If your attorney cannot get the insurance company to make a reasonable offer and a lawsuit has to be filed, the insurance defense attorney is allowed to discover your prior medical providers and any prior medical history or treatment. The questions the adjuster or attorney ask are designed to intimidate you and to lay the groundwork for making a low offer to settle your case. They want you to think this way: “You can’t recover for a condition you had before the accident, right, so be happy to take what we are offering.” If you have a significant medical history, and in answering the questions you are not completely forthcoming about your prior medical history, then when the adjuster or defense attorney finds this out, the insurance company or defense attorney will use this to claim that you are being untruthful, and so you are probably being untruthful and exaggerating your injuries also. (In legal terms, you will now have a “credibility issue” as well as a “causation issue”). An injured claimant’s medical records might show degenerative changes, disc disease, arthritis, or other “wear & tear” conditions. These are typical for an active person and at certain ages. Part of our job as attorneys at Allen and Allen for injured persons is to effectively contrast the difference between the claimant’s life before and after the accident by using prior medical history and prior activities to focus on the fact that the claimant’s pre-existing condition did not keep the claimant from leading a full and active life before the accident. If you have a pre-existing condition but you didn’t hurt before the accident, and you do hurt after the accident, then that difference is the only thing that should matter. In presenting this to a jury, I often point out that a pre-existing condition that does not cause any pain or symptoms doesn’t really matter to a person; it’s pain and stiffness and soreness that matter, and that didn’t exist until after the injury. If you were not getting any treatment before the accident for the area of the body that was injured in the collision, your records will show that you that you hadn’t been to the doctor for any complaints relating to the pre-existing condition and that you weren’t taking any prescription medication for it or receiving any treatment at all. If you were leading an active life working, playing sports, handling household chores, and doing your job, without any difficulties, then we will be able to show that this accident did indeed aggravate a pre-existing condition. We’ll be able to show that the incident caused by the defendant (whether a collision, a fall, or some other cause) is the reason you have pain, stiffness, or other symptoms, and that you are limited in your activities. Sometimes an injured claimant’s pre-existing condition does cause them to have some symptoms or treatment before the accident, but the accident has aggravated their condition and made it worse, and required them to have more and different treatment. As their attorney, we have to determine how to prove our client’s aggravation. If it’s not apparent in your medical records what the doctor thinks about your injuries, and how your pre-existing condition was aggravated, then we may need to meet with the doctor and review the prior medical records to obtain their informed opinion on this subject. . The doctor’s focus is – hopefully – on helping you to feel better, to treat your pain, and to relieve your pain. The doctor may not be focused on exactly how your condition is worse than it was before the accident, or even that your present symptoms are due to an accident. When you are involved in a claim as a result of an automobile accident caused by someone else, however, the doctor’s opinion on causation becomes important. In order for you to recover for your injuries and losses caused by the accident, your doctor will need to state in writing that, in their professional opinion, the accident aggravated your pre-existing condition. So oftentimes your attorney at Allen and Allen will consult with one or more of your doctors, and ask them to write a letter stating their opinions. 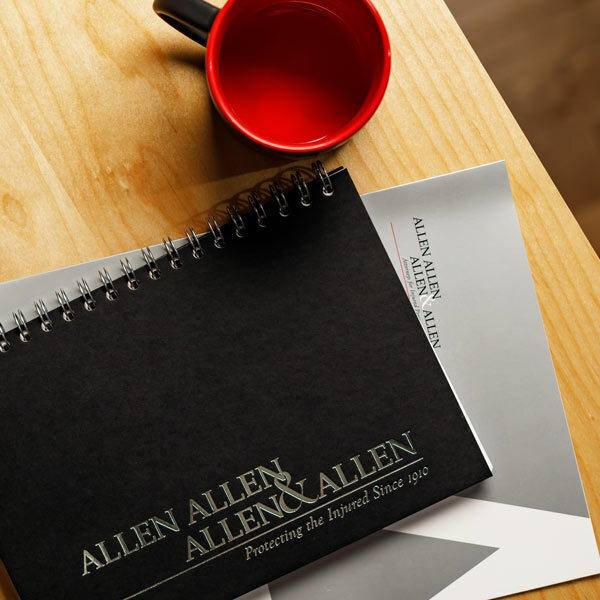 The attorneys at Allen and Allen will effectively address the degree and nature any aggravation of a pre-existing condition that you are entitled to recover for as a result of being injured by someone else. The doctor’s opinion report along with medical bills are part of the package that is submitted to the insurance company to help them evaluate your claim and increase the chances they will – at least ultimately – make a reasonable offer to settle your claim. Sometimes the medical history and records show that a claimant was actively treating for a pre-existing condition before the accident. Active treatment just prior to an accident will make it more difficult for the doctor determine to what degree the accident may have aggravated a pre-existing condition, and sometimes the doctor may be unable to determine if there was any real change in your pre-existing condition as a result of the accident. To help your doctor, it is important for you to explain what your activities were before the accident, and how they have been limited since the accident due to your aggravation. This assists your doctor to make a more thorough examination and to document those changes that have occurred since the accident. The injury attorneys at Allen and Allen can assist you by presenting conclusive evidence through medical records, friends, and family to show your activity level prior to the accident and the extent of any treatment before the accident; and then after the accident occurs, how it has caused you to receive new or additional treatment because it aggravated your pre-existing condition. You are entitled to recover for that pain and suffering, and the effect on your health, in accord with the jury instruction quoted above. This is something that insurance companies won’t tell you. See Virginia Model Jury Instruction No. 9.030. From the age of about 18 years old, we all have wear and tear type changes, typical of normal aging, that take place in our spines. Doctors call these changes “degenerative.” Although they can progress to a point where they cause pain or stiffness, for most people they do not cause any symptoms or problems at all, and may never do so. In one study of asymptomatic persons who had such degenerative changes which had progressed to the point where they could be seen on x-ray, only 15% developed any pain or symptoms over the next 10 years. See http://www.ncbi.nlm.nih.gov/pubmed/11707711. The term “arthritis,” as used by medical professionals with regard to the spine or other joints, usually just means that the aging processes, the normal wear and tear, has progressed to a point where it can be detected on x-ray. It does not mean that the person has any pain or other symptoms, and it does not mean that he person has a systemic condition like “rheumatoid arthritis,” which is a progressive condition that often causes pain in many joints. However, insurance companies often try to benefit from any confusion about this, and want to make it sound like the person with arthritis already had a painful condition when, in fact, they did not.